You’ve packed all of your vital goods into your airline-regulated single bag. You have a first aid kit full of malaria pills that you may or may not use. Checked in on the side you knew, and now you’re stepping out into Buenos Aires, your new (semi-temporary) home, ready to begin your exciting life as an ex-pat. Thankfully, the Buenos Aires airport is very small. There is only one terminal, and it is very simple to maneuver. When you disembark, follow the line of yellow arrows to baggage claim. You will see some money exchanges (cambios) in that area. DO NOT use them. They charge excessive fees to swap dollars for pesos. The same goes for the swollen (140 pesos!) remis and taxi kiosks beautifully lined up upon your exit. Everything you want is in the main section of the airport. Once you exit customs, there is a large bank on the right with an ATM and an exchange window that is open 24 hours. (Banco Nacion) Exchange money there. Once you have pesos in hand, you are ready to get to your hostel/hotel/apartment! Local taxis are available, but they are not the safest option for someone new in town. The city sponsored remis service costs only 5-10 pesos more, and is safe, reliable, and cushy. Exiting the bank, you will see two counters. To the right is Airport Assistance, and in the center of the room is the remis service, Taxi Ezeiza. Givc them the address where you are going and wait to the side. If you have yet to gain the confidence to speak many digited numbers, try writing down the address to be sure you communicate the right locale. After a few moments, the driver will come assist you with your bags. The ride into the city from the airport is about 45 minutes. Once inside Capital, there are a few things you are probably itching to do. There are three major carriers here: Movistar, Claro, and Personal. All work well, and you can buy a chip for your unlocked phone or a cheap phone with a chip in it. Chips (tarjetas de SIM) are 10-20 pesos, and “un cellular libre” (a phone without a plan) is anywhere from 100-300 pesos. You cannot get a plan here without a DNI (Argentine SSN). If you have one, contracts are generally for 2 years. Once you have your phone ready to go, you need to buy minutes. They can be procured at most kioskos, and are generally sold in increments of 20 pesos. (Puede ser una tarjeta de ______). If you don’t want to go to the store, you can set up your phone to deduct once or automatically from your debit card. (To recharge your phone, dial *444. This is a free call.) 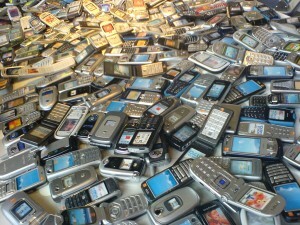 Text messages are much cheaper than phone calls, and are the main mode of communication here. Dependent upon how many calls you make/receive, the 20 peso card generally lasts 2-4 weeks. Perhaps you are not itching to do this, but this book of maps, train and bus routes will be your closest companion as you learn to negotiate BsAs. Sold within Subte stations and at magazine stands, this is the best 6 pesos you will spend in your first few weeks here. 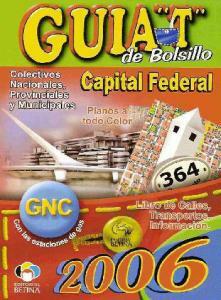 The pocket guide has detailed maps (one page per barrio) and uses a grid system to map the hundreds of buses in the city. The Subte lines are old (the oldest in the Southern Hemisphere!) and all lead into the Centro, so if you are trying to get N-S away from downtown, buses are the better option. Your Guia will also come in handy for walking explorations, and making sure that cabs don’t go any further than they may need to get you from place A to B. Now you are ready to enjoy the city! See the sights, breathe in the semi-fresh air, and enjoy a city in which you can see stars. Please allow me to make a small correction to your post. 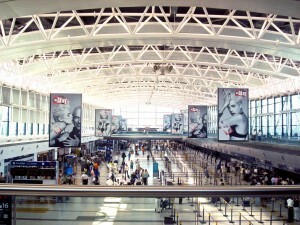 Although it’s true that the vast majority of international flights arrive to Terminal A, there is also a Terminal B at Ezeiza. I have arrived to Terminal B several times on flights originating in the US. Just out of curiosity, how much is a remise taxi from Ezeiza to say, Palermo these days? I hvant been in Argentina in almost 3 years and I hear it has gone up quite a lot! Depending on your accent, it could range between 70 and 120 pesos. I’ve been quoted a variety of prices! This page rendered in 0.701 seconds.